Malenga Yusef Moore is the Chief Instructor and CEO of the Best Of The Best. He is also the Chair for AAU Chinese Martial Arts for Prince George's County, Montgomery County, the District of Columbia, Fairfax County, and Arlington County in Virginia. Additionally, he is co-founder and Director of Operations for 4B United Security which provides armed and unarmed guards for corporate and personal security. 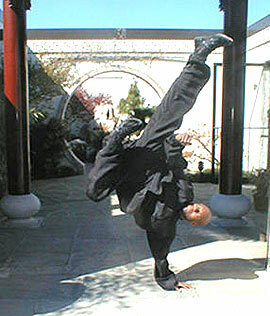 His training began in 1987 under Shifu Eddie Little at the Dennis Brown Shaolin Wu-shu Academy in Washington, D.C. There he distinguished himself as a model student becoming one of that organization's most used weapons in their competition team arsenal. His specialties at that time included practical fighting application of T'ien Shen Pai classical arts. The late eighties and early nineties saw this competitor travel through out the region solidifying his strong hold as champion of forms, weapons, and fighting divisions. He officially entered tournament retirement in 1998 as the Grand Fighting Champion at the Friendship Games in Annapolis, MD. Malenga Yusef is one of the country's highly sought martial arts trainers. His training systems are responsible for producing the next generations of champions who currently hold Gold and Silver medal championships in National and International competition. In 1999, Malenga Yusef ended his tenure at Full Circle Martial Arts where he had been on staff as Chief Instructor and Director of Youth Programs. He founded the Best Of The Best in Bowie, Maryland that same year. In 2002, he was promoted from "Shifu" to the high rank of "Fundi" by Mfundishi Bakari. MalengaYusef accepts students in the arts of T'ien Shan Pai, Tai- Chi, Wu-shu, and the secret art of Kemetic Hands (Shackle Hands). His training programs have and continue to produce some of the best practitioners in the world. During his training he has traveled to China, the orient and the carribean. His travels to the Orient in 2003 produced a collaborative relationship enabling world class athletes Jiang Bang Jun and Li Ying of the Beijing Wushu team to join the instructional staff at the school. 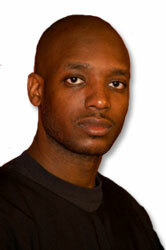 The year 2004 saw Fundi Yusef spearhead a campaign that led to birth of the United Martial Arts Network (UMAN). UMAN's chiefs of staff include the legendary Oso Mfundishi Tayari Casel, Malenga Samuel Scott of Full Circle Martial Arts and Sifu Clarence Burris III of Chinese Martial Arts Institute. In November 2006, he, was promoted from "Fundi" to the high rank of "Malenga" by Mfundishi Bakari & Oso Mfundishi Tayari Casel in a special ceremony held in Bowie, Maryland. 2006 also saw him working in collaboration with Malenga Edward Jockey Anderson in creating educational materials of our style and also cataloging the systems forms, combat & training techniques through videos and dvd's. Malenga Yusef conducts private lessons for those extremely serious about improving their health, wellness, self defense capabilities, and martial arts skills. If you want to go straight to the source to improve your skills exponentially, please Fill Out This Form to begin working with Malenga Yusef.